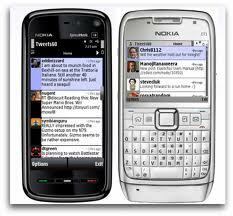 All the mobile devices manufactured by Nokia were based on the Symbian operating system, where S40 and S60 were its two versions. The Symbian S60 version can be used to access the services of a VPN connection, for which, you either get a pre-customized client or you have to manually configure your device. For an access to VPN connection through your S60 device, you need to get an application named ‘SymVPN’ installed on your device. After getting the application, follow the instructions as given below to set up a PPTP VPN connection. Begin the process from the ‘Home Screen’ by clicking on the ‘menu’ option to open it. On the ’menu’ page, go to ‘applications’ option and open it, wherein you need to go to the ‘SymVPN’ icon and open the application. Here you need to create an account, for which, you must select the ‘options’ option, then the ‘Accounts’ option from the sub-menu and finally the ‘add new’ option to add a new account. You will be provided with two fields, ‘user’ and ‘password’, where you need to fill in the log in credentials of your VPN service. The values for your ‘username’ and ‘password’ can be found in the welcome that you might have received from your VPN provider. Press the ‘done’ option after entering the values, which will show you an account on the page, confirming that the account has been created. Now press the ‘back’ option and then move to the ‘VPN connection settings’ to configure a VPN connection to your device. On the ‘options’ menu, select the ‘add new’ option and then fill in the details of your VPN connection that you will find in the welcome mail from your VPN provider. In the ‘name’ field, you need to fill in the name of the connection that you are going to create, which should be such that you can recognize the connection later on. In the ‘access point’ field, enter the name of the internet connection that you will be using with this VPN service. In the field labeled ‘host’, you need to enter the IP address of the server, which you wish to connect to, while this information can be found in either the welcome mail or the customer area on the VPN provider’s website. Press on the ‘done’ option and then go to the ‘verify’ option in the ‘options’ menu to check that the settings are correctly entered on not, which will display you the network settings on a successful connection. Now, you need to configure the browser to be used with these settings, for which you need to open the browser and then open the ‘options’ menu. In this menu, go to the ‘settings’ option, then to the ‘general ‘ option and then to the ‘access point’ option. Select the name of the VPN connection as your access point to use it for surfing anonymously through your browser. With this, the steps for configuration of your S60 mobile is complete to be used with a PPTP VPN connection, hence, you can surf anonymously with a PPTP VPN protection on your device.